The problem with spelling-challenged cake decorators is that they don’t have to eat their words, so sometimes they get a little careless, or display their ignorance on the icing. And though the purchasers can try to devour the evidence, there always seems to be somebody around to document the sweet screw-ups. 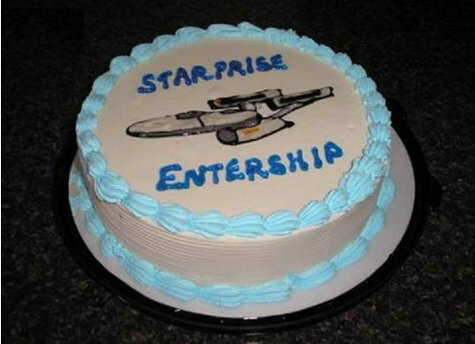 Absent the sloppy lettering, this is a very well-done icing job. But not only is the cursive writing poorly executed (note the m and the n in particular), the cake decorator is also one of the seemingly innumerable people who mistakenly believes that the correct way to form a plural is to add an apostrophe and an s. Job applicants for this line of work should have to pass an English test. If you eat too many of these things, “Huge me” might be an appropriate admission. But there is no silent e in hug, folks. Not only does the decorator have poor cursive skills, but the person also impressively committed three errors in three words consisting (when rendered correctly) of a total of eight letters and a couple of marks. Besides omitting the possessive apostrophe and s required in it’s and spelling girl incorrectly, the perpetrator failed to incite excitement with an exclamation point. It a gril. Ho-hum. OK, let’s sit back and think about this for a moment: This is an exhibit of the work of someone who either has never heard of the Star Trek franchise (impossible) or committed this odd transposition error while inebriated or otherwise incapacitated (highly unlikely, considering that the lettering job is otherwise admirable). So, is this an inside joke about teleportation? Highly illogical, Captain, but fascinating. This error also calls for analysis. 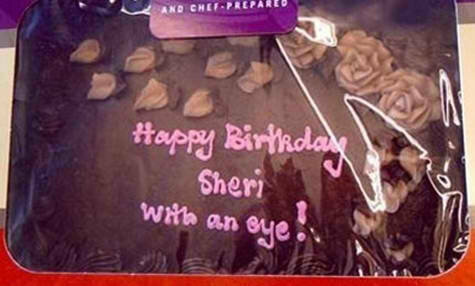 My deduction: The message was phoned in: “I’d like it to say ‘Sheri,’ with an i.” The cake decorator interpreted the message differently. Why? Who in their right mind would think the message, as presented, has any meaning to anyone? The perpetrator was obviously not mentally engaged — or was mentally deranged — during the creative process. “Your cute” what? Oh, the decorator ran out of space for “smile” or whatever. Wrong. 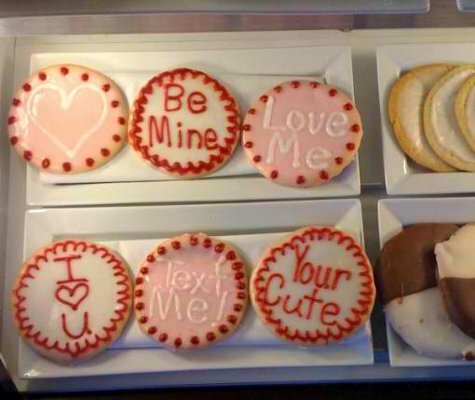 It should be “You’re cute.” But the number of people who don’t know or understand the difference between you’re and your is increasing — exponentially, in my perception — and our cookie decorator is one of them. 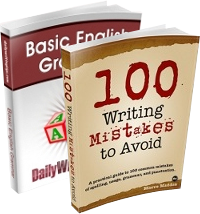 These images are from the websites Apostrophe Abuse, English Fail Blog, and Wordsplosion! 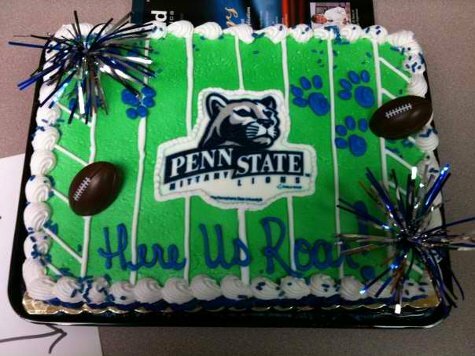 When I first saw the Penn State cake, I actually read “there Us Roar”, with the “th” lower case. Personally, I think it’s even funnier my way!! The Star Trek one has to be an intentional joke, though, right? I suppose you’re correct to challenge a few of these, but I’ll bet you three apostrophe’s and a gerund that “Huge Me”, “Sheri with an eye”, Starprise Entership” and maybe even “It a Gril” are inside jokes. 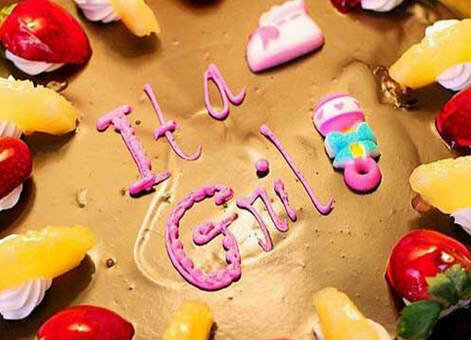 BTW, the exclamation point for “It a Gril” is obviously the pacifier. 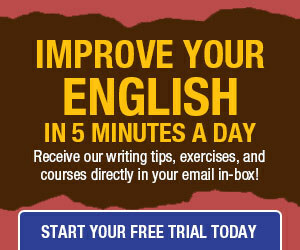 I suspect that most of these errors are attributable to immigrants whose first language is something other than English. You might enjoy a look at cakewrecks.com — it has not only errors in English but also in every other aspect of food decoration! Love the Star Trek one — they had to do that on purpose. This was adorable—and horrendous—at the same time! Thanks for the laugh AND the unfortunately familiar “this is pathetic” reaction! This was a really funny article! 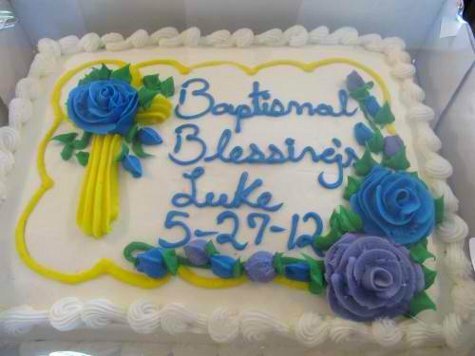 I can’t believe cake decorators make these kinds of mistakes. What’s even funnier is the purchaser’s attempt to cover this up when he/she serves it! When I made myself a birthday party last year (11/11/11), I ordered the cake by phone. I was celebrating 10 years cancer-free, and I asked them to write “Lucky to have more birthdays” on the cake. When I opened the box, it said “Lucky to have more birthday’s.” I took a pic of it and then carefully lifted off (and ate) the annoying apostrophe before the guests arrived. I think it was here (i.e. at DWT) that you once mentioned the website ApostropheCatastrophes, and I sent the picture to her. I have since sent her other pix and she has posted them.